Designation: Chief Executive Officer, SHIPinSPACE Ltd. Copyright: Copyright: © 2018 Boer F. This is an open-access article distributed under the terms of the Creative Commons Attribution License, which permits unrestricted use, distribution, and reproduction in any medium, provided the original author and source are credited. The design characteristics of a Space Satellite for a typical Telecom mission have not changed much in the last 30 years, with components breakdown made up by honeycomb panels, onto which variegate S/S Equipment are mounted, assembled around a central core comprising of the Sat fuel tank for orbital circularization in final orbit, the combustion chamber and its nozzle, and on the lateral sides of the cuboid structure the antennas and solar panels hinged to the structure. Hereafter a typical breakdown view of its parts  (Figure 1). Figure 1: Space satellite design. Nobody argues this typical Architecture bus has been working effectively and will still carry on working for long time. 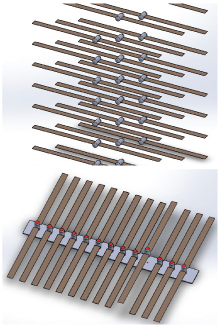 This configuration made up by different structural groups rigidly linked one another requires a lot of analysis and verification and close tolerance manufacturing, this is why the cost can be over $150M for a large 5 Tons mass satellite  (Figure 2). 1300 Satellite: Modular design for efficient adaptation. 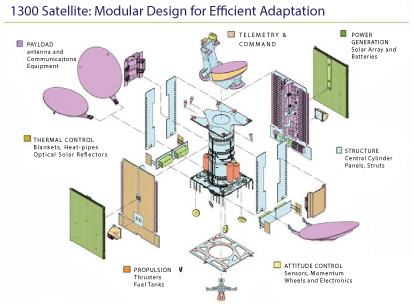 Figure 2: 1300 Satellite: Modular design for efficient adaptation. Because little has changed in the last 30 years it is logical to think that there are no reason things will change much in the future. This observation is reinforced taking into account of the billionaire economic interests the large Satellites OEMs will try to defend for many years to come, using the same recurrent bus or varying little around it: why taking risks when business is running successfully? Why the Satellite Design Should Then Change? Though the vision I have for a design change in Satellite design manufacturing is not encouraging looking the matter from the most objective point of view, I also think that this should be destined to change considering the rapid evolution of robotic smart systems and the potential of making assemblies on-orbit using 3D/4D Printing at a much lower labor cost. When these technologies will get to a high level of maturity on-ground in next decade they will likely spread outside onground applications and Satellite OEMs will be more convinced of the advantages on-orbit manufacturing and assembly shall offer. The perfect storm will result when new Launchers will be available for Satellites OEMs, Launchers that will propose a Payload accommodation system much different from the one being used so far with specific dedicated adaptors . When it will be demonstrated, starting from the micro and mini satellites category that delicate and sophisticated Satellites can be accommodated into the Fairing using air-bags or soft polymers instead of rigid adaptors a new era will be born and will change everything . Because air-bags or other decoupling systems based on soft foam parts shall permit to store effectively and variegate sized components at 1/10 of the price as no mechanical I/Fs are required, Sat OEMs shall realize that it will be much cheaper and effective to launch Satellites components instead of whole 5 Tons mass Satellites and let parts to be assembled on-orbit via robotic systems. How the New Satellite System Shall Be Configured? The new satellite system shall be likely based on a basic building block, as a standard, the same way a personal computer is based on the assembly of different PCB building blocks. This basic building block can be based on the following configuration (Figure 3). Building block of new satellite. Figure 3: Building block of new satellite. An ovoid shape naturally resisting to compression forces with a mass much lower than a satellite that can be efficiently propelled by an Ion-Thruster Engine . This Ovoid Intelligence Unit or OIU shall be used as the building block to equip a large platform built in part with 3D printing and providing a specific function of a satellite. The casing can be transformed into a Faraday cage for maximum electronic protection against cosmic radiation. Large items such as Antenna and the platform itself can be sent separately in the same cargo mission, thanks to the high flexibility of an air-bag holding Payload system. The use of decoupling structures via air-bags or lightweight polymeric foam permits to develop a payload holding system in which the OIUs occupy many floors staked one on top of each other inside a i.e. 7 m diameter Fairing considering a Falcon Heavy Launcher category. Each floor could host 62 OIUs, assuming a hypothetical OIU diameter of 500 mm for a mass of 50 Kg using smart electronics and ultra-thin PVs inflatable arrays . Any floor could therefore host a Payload mass of 3100 Kg. 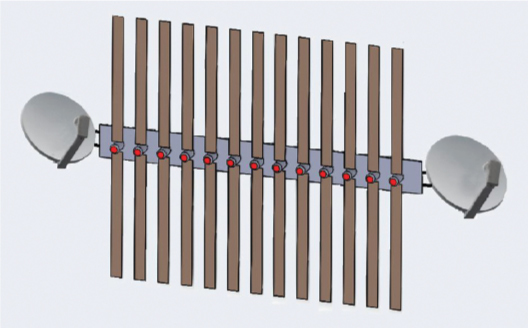 In the following picture, a floor of 62 IOUs is ejected from its compression packaging configuration (Figure 4). A new Payload holding and separation system showing OIU for its basic geometry with compression floor. 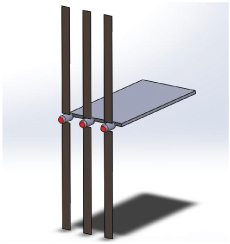 Figure 4: A new Payload holding and separation system showing OIU for its basic geometry with compression floor. The OIU for its basic geometry can be easily designed to resist 1 Ton in compression in such a way many floors can be located one over another. The advantage of this “egg container” system stays in its simplicity that in economic terms provides the cheapest holding system ever used in a Launcher. The separation of any floor can be provided by pyro-cut of a section of the Fairing and release energy by the air-bag or pre-compressed springs embedded in the holding cradle in case foam is used. After separation occurs any OIU is autonomously able to carry out its mission starting from deploying the PV arrays with an already existent technology that keeps them rigid once inflated but that can still be improved in terms of size and mass in next decade. 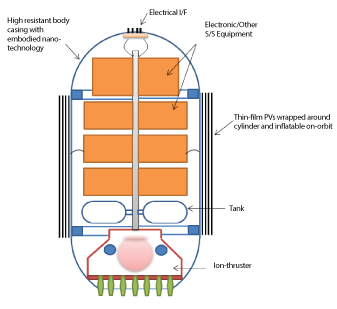 Propelled with Ion-Thruster any OIU is capable to reach its final destination fully in autonomy. This much reduces the operational costs of the mission (Figure 5). OIU permission and socket location using on-board tracking system. Figure 5: OIU permission and socket location using on-board tracking system. The rather low mass of the OIU permits to reach the final target in a short time even for far- reaching targets such as an Asteroid or a Planet using even modest 0.5N Ion-Thrusters class. Once arriving at destination any OIU shall be set at their socket location using an on-board tracking system and/or via robotic assistance. Reducing the complexity of a Satellite avoiding challenging high contingency load factors in its most delicate S/S parts is a key factor to much reduce development time and costs. Satellites must stop to be designed as a unique bespoke unit the same way as PC design has developed standard size PCBs that can fit in any PC slot. Increasing standardization philosophy using the same size and shaped bodies as building blocks of a complex Satellite capable to easily challenge Launcher accelerations is the way too much increase the output of Payload parts onorbit at a much-reduced cost. Each modular OIU would require only basic checks from the time it leaves the production Facility to the time it is set on the Launcher. Each Unit would represent a possible event of failure but not an overall mission risk in a fail-safe system philosophy. Shifting the build-up of a satellite from on-Ground to on- Orbit permits to increase significantly the Productivity and the Operations on-Ground passing from many thousands of operations normally made in serial for a large satellite to an Industrialization plan in which the OIUs can be made using a high standardization and operations widely made in parallel as in car manufacturing. For the transportation of large items, a few OIUs can be used for the purpose as shown in the picture (Figure 6). OIU usage for the transportation of large items. Figure 6: OIU usage for the transportation of large items. We are already familiar with discussions regarding the potential harm the use of robots may have in our Society, with people that suddenly are losing their job because a robot has taken his/her place. I agree with those persons alerting the risk is much real. This is why I prefer to think that robots can be, instead, a source of wealth if they mainly will operate in Space rather than on-Ground doing jobs that humans could hardly do. Robots in Space can create huge returns and wealth for people living on Earth without the risk they pick up their job. The OIU other than covering an essential function of a Satellite is essentially a robot that provides an autonomous mission without requiring sources on-Ground once it is delivered on-Orbit. It will be a robot among other robots in Space and will contribute to create services and economic return to organizations on-Ground. Using a large Launcher such as the SHIPinSPACE Lunar Base Launcher  capable to send 240 Tons to LEO it would be possible to send 4800 OIUs in one single mission. If any OIU can produce 20kW of power 96MW will be produced on-Orbit, this means about 12 Launches to build a GW scale Solar Power satellite including (smart) supporting structure and antennas. With a smart operative system on-ground, it is possible to accomplish the 12 Launches in 3 months. At a predicted cost of $30M per launch, it makes $360M overall compared to the $1B of a solar farm. That power, if transmitted to the Moon (or Earth), it can permit to build a Colony infrastructure much quicker and cheaper than any existent business plan. Think about it. The Kessler syndrome  in which Space debris will inevitably create collisions into a spiral of an uncontrollable amount of debris that will create further and further collisions is a “Damocles’ sword” still pending for any future use of orbits going from LEO to GEO, potentially much compromising new Space business. The growing number of micro and mini-satellites in the order of many thousands expected to be sent into orbits from LEO to GEO in next decades will certainly further leverage the risks of future collisions and arrive at the point in which the Kessler syndrome could prevail. Because it is typical of humans to wait for a damage is made instead to analyse, predict and act to solve it before it happens the scenario of irreversible Space collisions may be not far away according to the experts. The recent successful removal of a Space junk  by using a specific satellite (not robotic but remotely controlled) proves the recognition by Administrations and Agencies of the problem but it doesn’t answer or explain how hundreds of thousands of potentially harmful debris can be removed as it is clear that the technology used can be afforded in the order of few units per year (control Centres on-ground cannot operate more than 2-3 spacecraft in the same time) whereas we would need some tens of thousands per year to sort out the problem seriously. The development of our “LBL Launcher” capable to send 240 Tons in LEO at a much-reduced cost with a Payload holding technology based on decoupling structures and the use of OIU robotic satellites could be the technology with the technical and economic figures able to challenge this problem. By developing robots based on the proposed OIU design configuration it will be possible to send 4800 OIUrobots to LEO in one single mission any of which can be programmed to remove a major Space junk. This is the scale of technology needed to solve the problem for good.